This book – published in a single edition in 1990 – cropped up on eBay a couple of weeks ago and at $50 I snapped it up. I’ve been waiting for it to appear for a few years now. Like almost any book it’s available from dealers, but it’s quite sought after and consequently quite expensive. Of the six or so I could locate online just now they range from about $120 to just over $200. So what is it and why is it important to me?? Like almost every young boy, I loved comics. 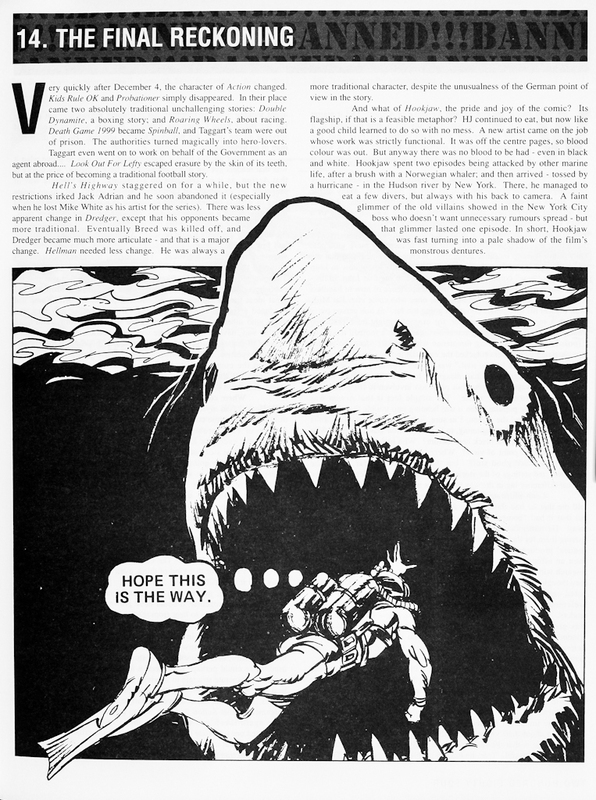 However, growing up in New Zealand we had more of a ‘global’ choice as to what was available as opposed to the US where American comics dominate. 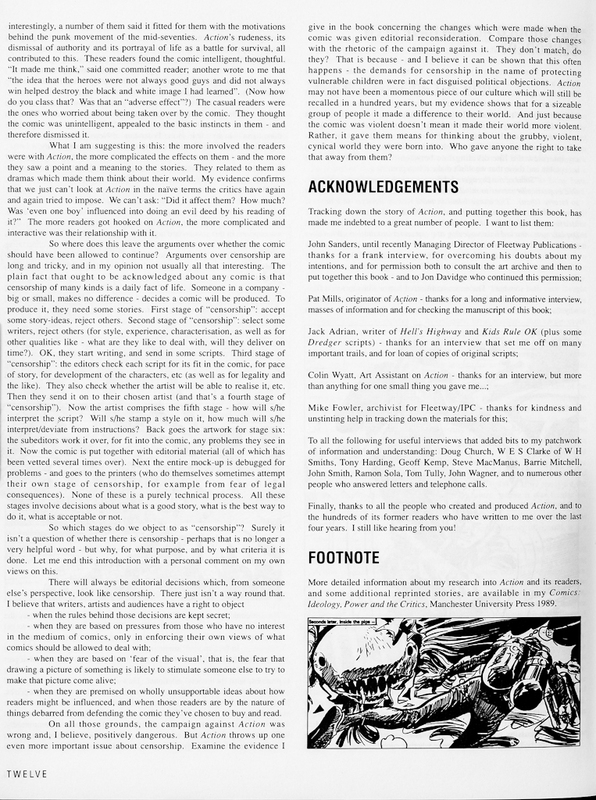 I remember when I was very young – perhaps 5 or 6 – digging through boxes of comics my younger brother Kane and I were given by our much older cousin (I guess he was about 16 or 18 at the time. John was his name and he died of lung cancer at the age of about 25..). 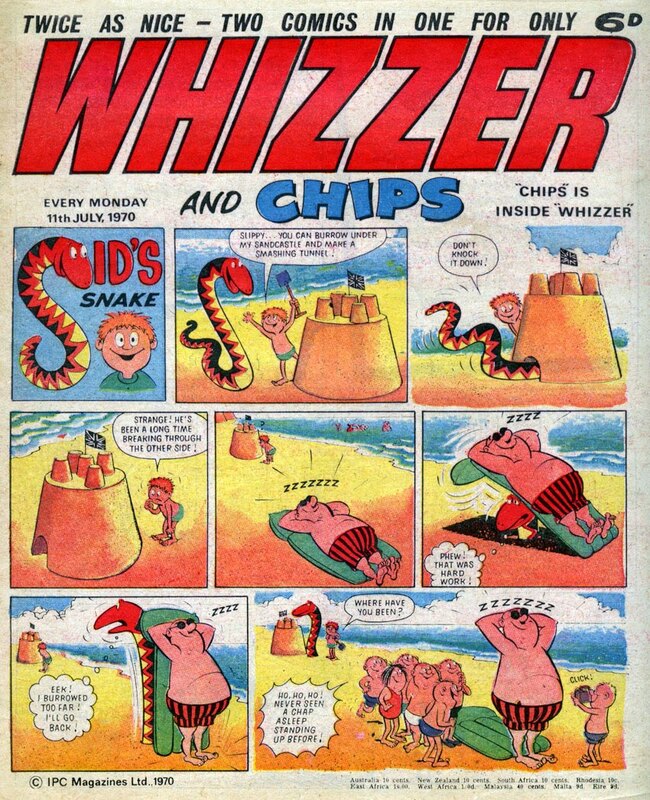 British titles like Valiant, Buster and Whizzer and Chips were in the box as I recall. That container was in the bottom of my wardrobe and I used to sit in there in the half-dark poring over these comics at times (why in that fashion, I don’t know..). While I enjoyed that activity, I don’t recall actually reading them and I seem to remember that the comics themselves didn’t hold much interest for me aside from the fact that there were so many and so there was always something new to see. 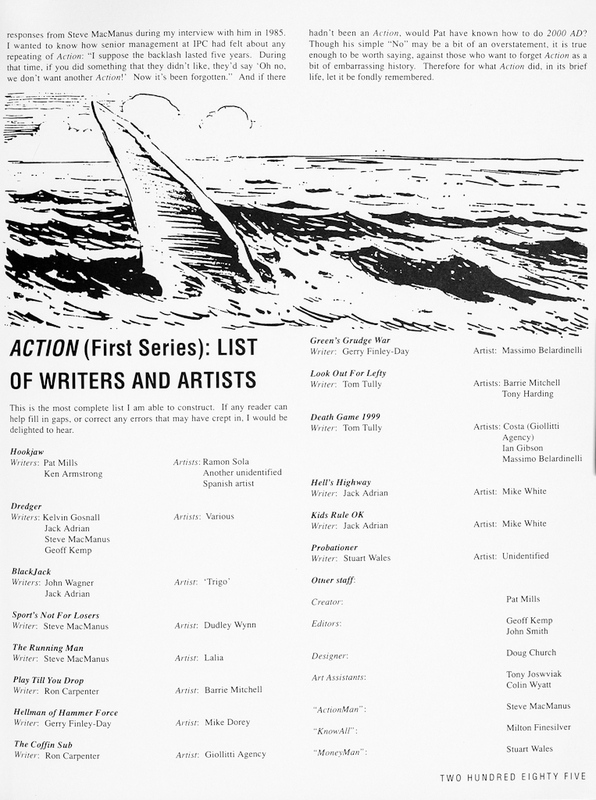 Our grandmother – ‘Nana’ as we called her – started buying a brand new comic called Action for us in early 1976. I would have been 7 years old at the time, my brother 5, and this was a weekly ritual that was to last for another six years or so in one form or another. Action was a revelation. 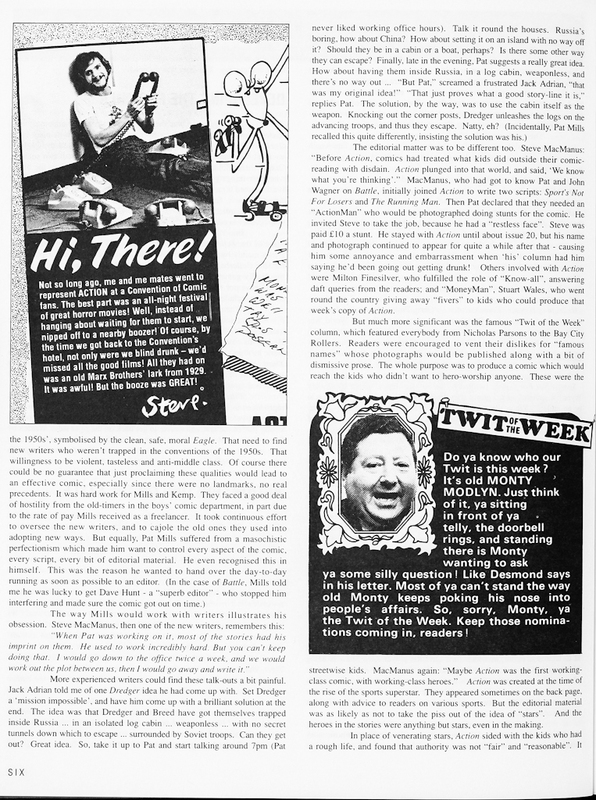 Hindsight is a wonderful thing of course, but looking back I can see that it changed (or probably more accurately – primed) my lifelong reading and media consumption habits from a recreational perspective. 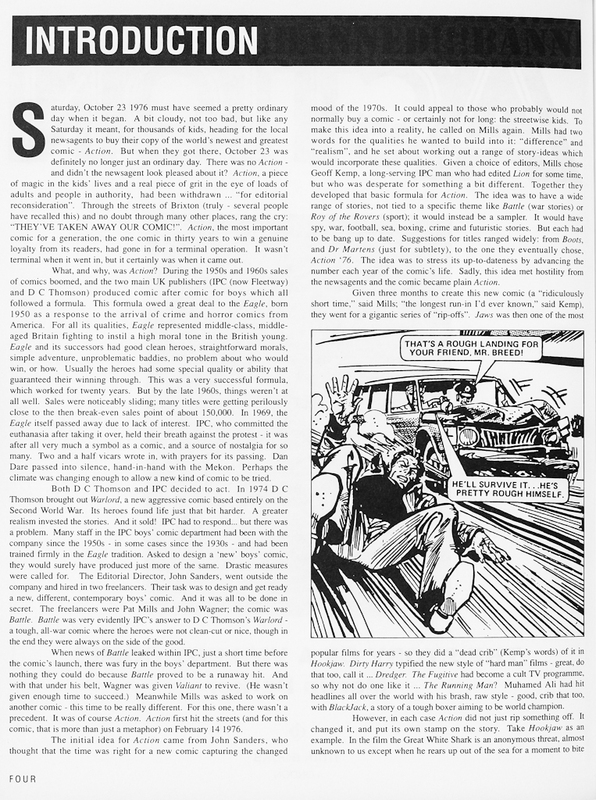 Action was as far from Whizzer and Chips as it was possible to get and suddenly comics were something I loved to read. The stories were hard-hitting, gritty and extremely violent in story and art. Of course I didn’t think of or see them in that way back then, but that’s what appealed to me. 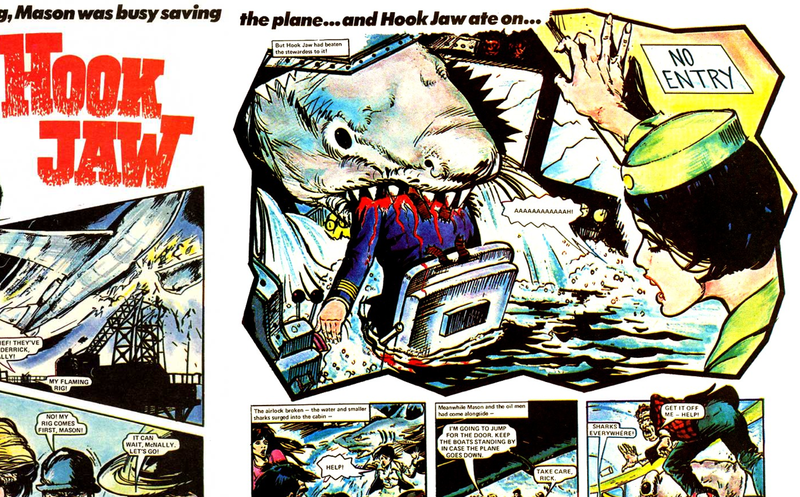 My favorite story was Hook Jaw, a rogue shark that ate everyone on a weekly basis. One vivid memory I have regarding the comic is describing the story Hook Jaw to my best friend’s family. My best friend at that time was Andrew Clausen and we used to knock around together almost every weekend. Actually it was he who taught me how to ride a bicycle. Anyway, I think this must have been the first time I stayed overnight at his house because I remember we ate dinner with his full family (which was an unusual event as I recall) and I was a bit shy as I didn’t know his three older sisters – Christina, Tracey and Alex. Somehow I got to talking about this new great comic I was getting and trying to describe Hook Jaw. Providing an example, I finished up describing this picture here on the left. Now, I distinctly remember a couple of things about this event. First, how, as I proceeded to describe this in detail, everyone stopped eating and all attention became very well focused on me, and second, his sisters found it amusing when I described the unfortunate victim’s trousers coming down in the act of him being savaged. I’m not sure what kind of impression I made that evening. As you get older, you tend to recall your youth and things you enjoyed back then more and more. At least I do. 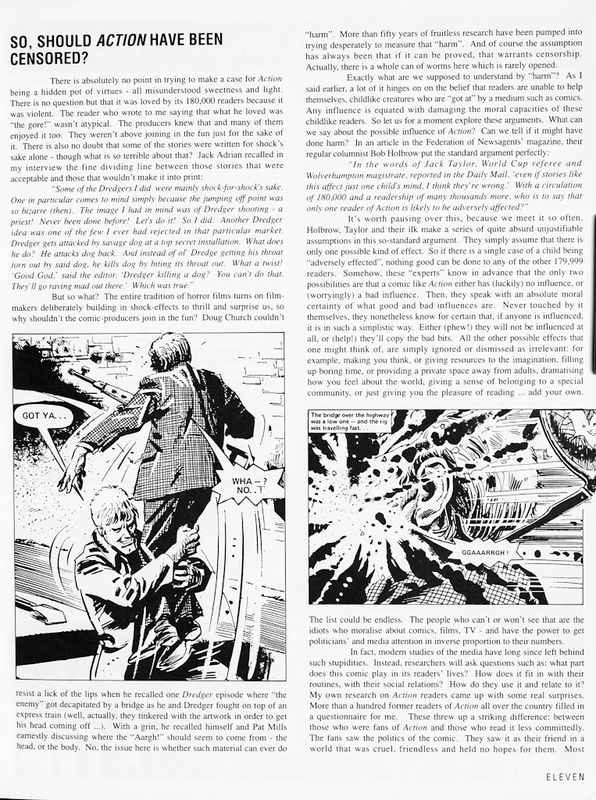 Hence my interest in Golden Age SF and the comic 2000AD (which I’ll touch upon later..), and Action. 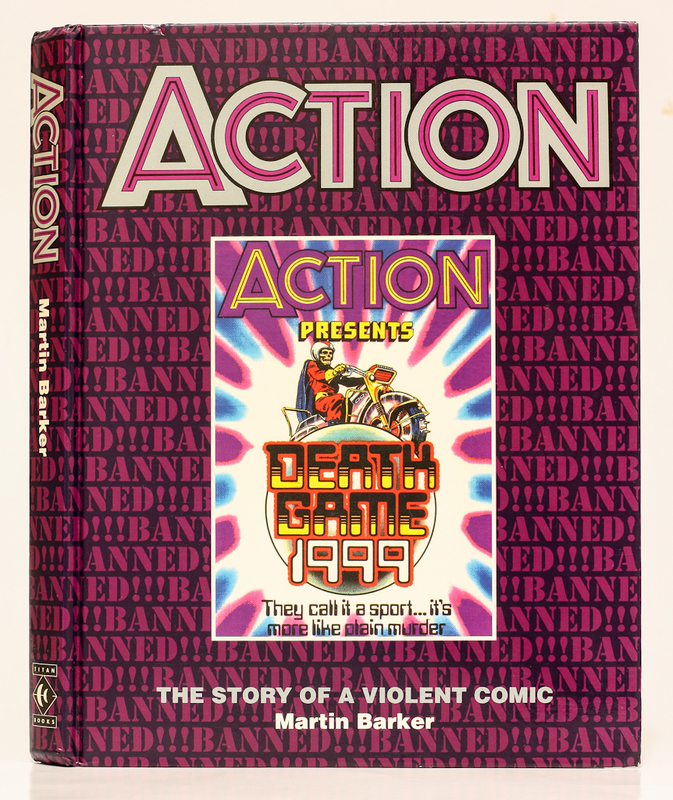 This book – Action: The Story of a Violent Comic – reveals much that I was blissfully unaware of as a tender 7 year old. 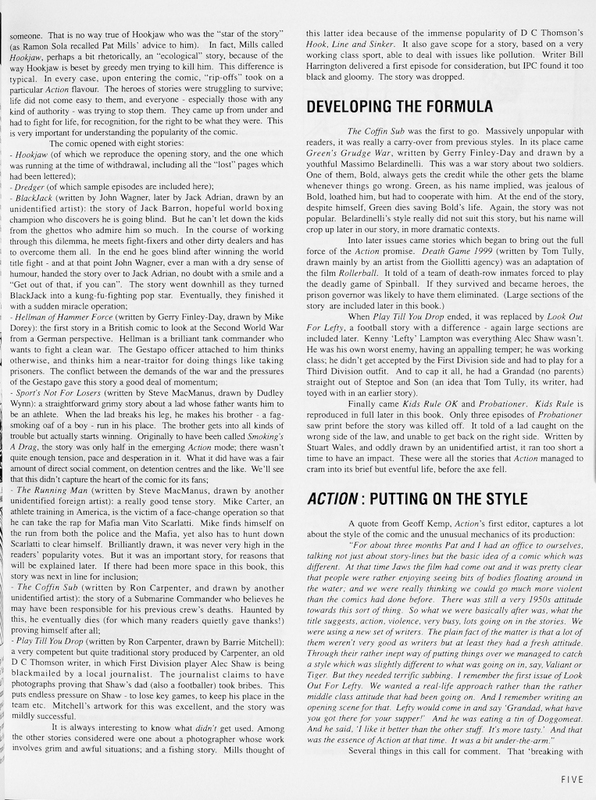 In New Zealand we were half a world away from the controversy this publication unleashed and the *ahem* ‘action’ that led to it’s demise. Looking at it now, I’m not entirely sure that I’d be comfortable letting a seven year old read this, and I can understand the objections to it’s stories and their delivery. 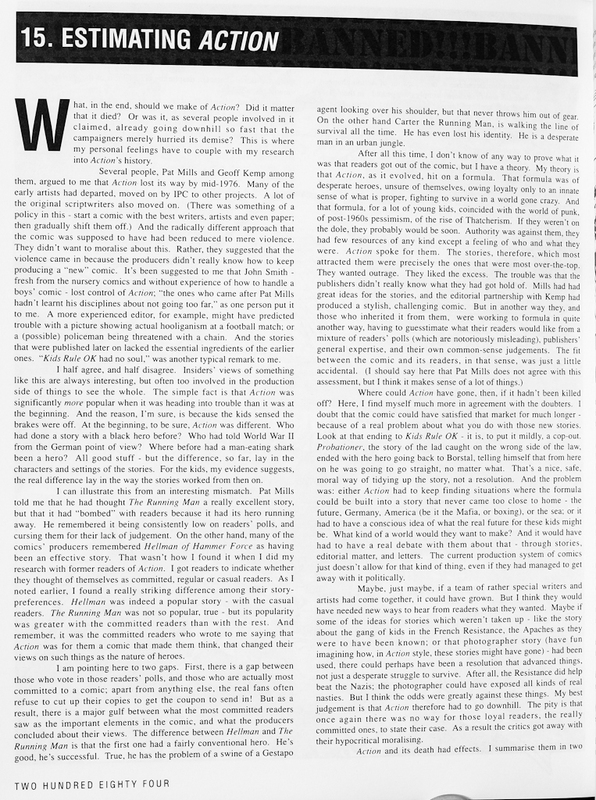 But as is pointed out in the text below, I really think that it helped form how I think about good and bad and the ambiguity with which these ‘roles’ are portrayed at times – both in entertainment and real life. 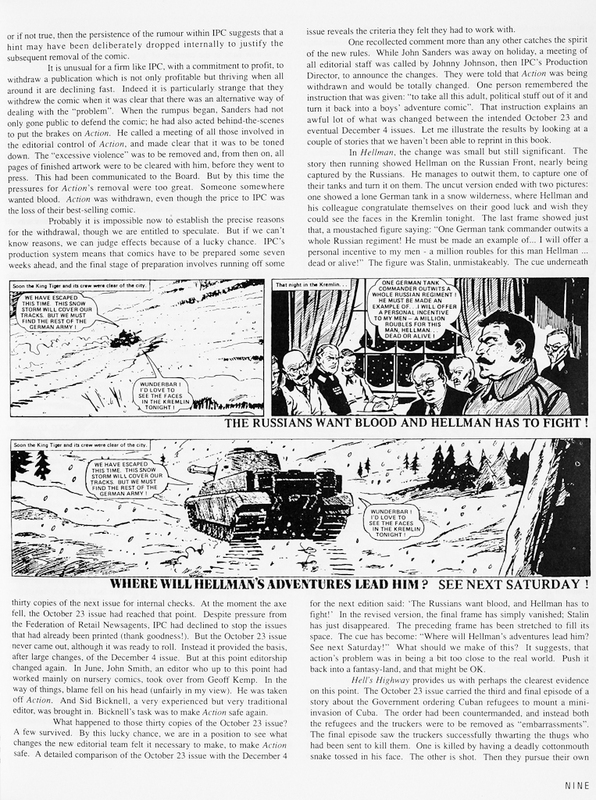 Anyway, at the time it just kind of disappeared and was replaced by a weekly installment of 2000AD (which I enjoyed more in any case). This fantastic book by Martin Barker, Professor of Film and Television Studies at the University of Aberystwyth in Wales, takes a close look at the origin, evolution, and ultimate defanging and fall of this treasured memory from my younger days. It really is fascinating reading even if you aren’t familiar with Action, as it provides great insight into the cultural impact that comics can have. 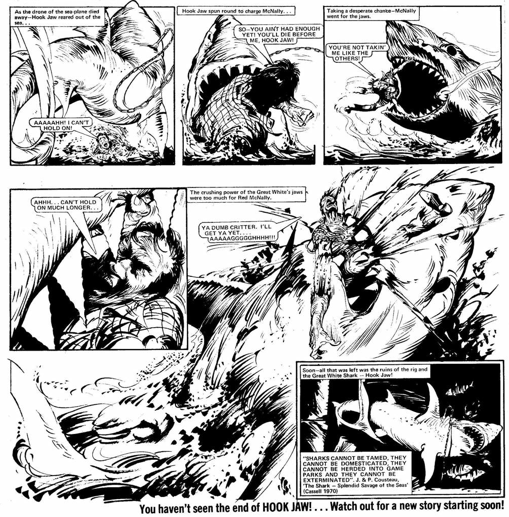 The bulk of the book is made up of partial stories and lost/censored pages to illustrated the comic’s style and the changes that were forced upon it towards the end. 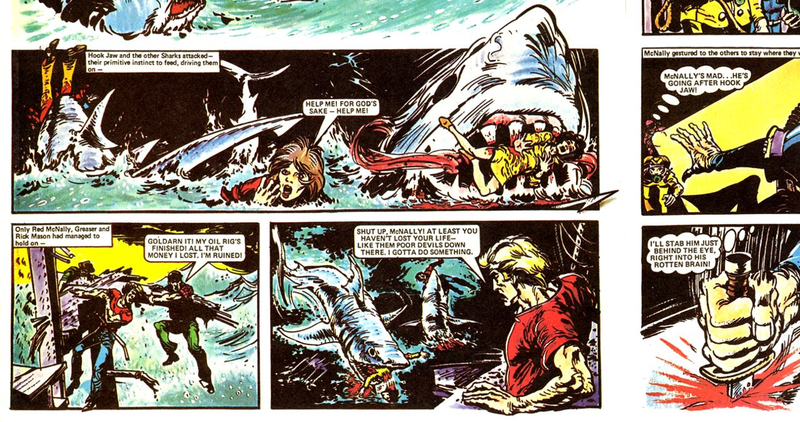 Do appreciate and enjoy the editorial content below, punctuated with a couple of choice Hook Jaw images culled from the digital versions of the comic I have. 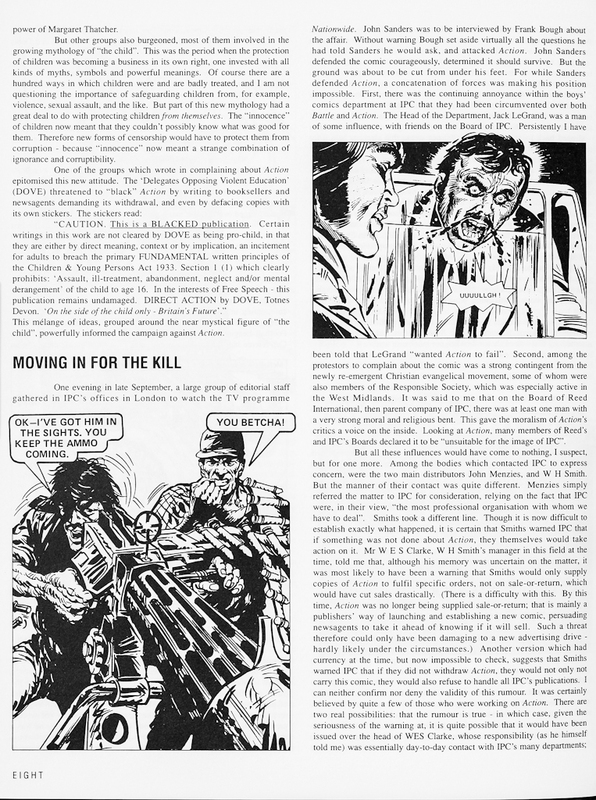 Well, the now boring post-evisceration version of Action disappeared (subsumed by Battle magazine to become Battle Action, which actually was a darn good comic itself) and was replaced by 2000AD which was a far more subtle and smarter publication. We existed on a diet of Battle Action and 2000AD, and then Starlord (until it was merged with 2000AD) and then Tornado (which 2000AD also swallowed) until in the early ’80s we kind of outgrew the weekly ritual and I felt that 2000AD was losing the entertaining edge it had for me. I still love and really enjoy those early issues of 2000AD which is why I collect them. I might write about that sometime. However, I’m very grateful for Action. It had a profound impact on me as a person and provided the fertile soil that 2000AD was able to take root in. 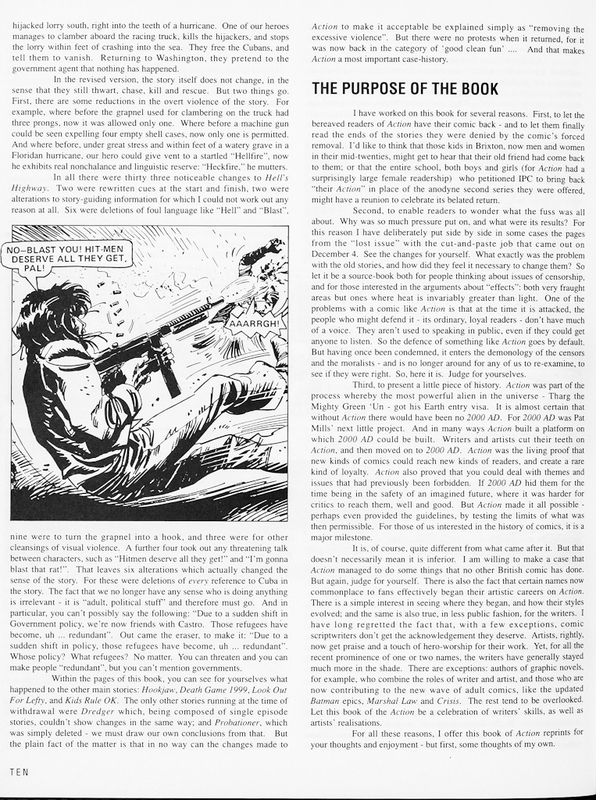 This entry was posted on February 21, 2013 at 7:07 am and is filed under Comics, Uncategorized with tags Action, Comic, Martin Barker. You can follow any responses to this entry through the RSS 2.0 feed. You can leave a response, or trackback from your own site. I have many vivid memories of ACTION & early 2000AD , they were awesome , full of adventure , blood, gore & all round fun & escapism . I was gutted when the plug was pulled & made it tamer b4 it finally went off the market , I was more gutted when my mum threw out the box I had with the first 50 episodes of each comic as well as other stuff I used 2 keep. 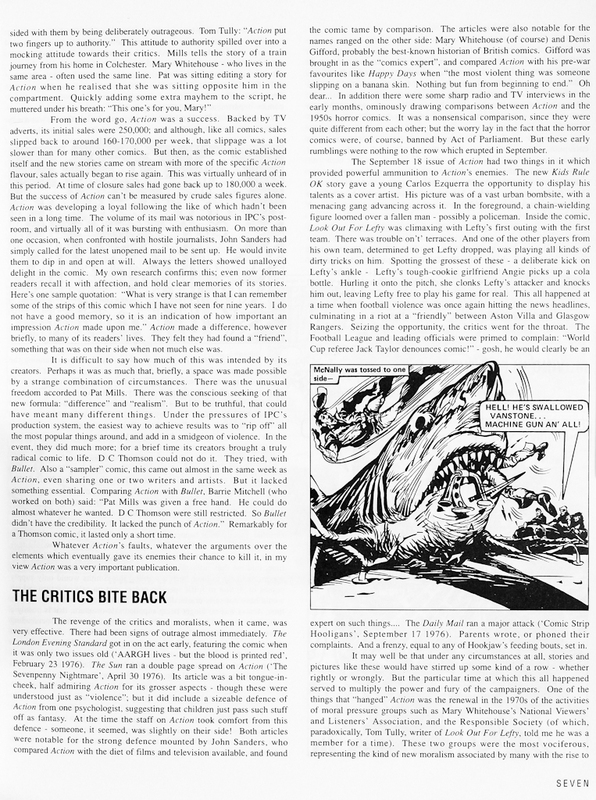 Wish it could be re-printed , blood, gore & all , cheers 4 the rant .